Innovative conditioner with powerful volumizing and de-tangling effect. Thanks to organic extracts of Coconut, Wheat Germ, Mallow and Marshmallow it is the perfect solution for volumizing hair, right down to its roots. 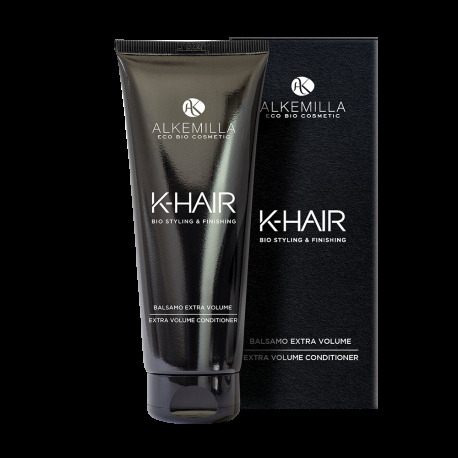 The soya proteins, together with the vitamin E and the orange and lemon extracts, have a powerful restructuring and anti free-radical effect, providing intense nourishment for the hair. The innovative, ultra-light texture leaves hair with residue-free lightness and soft, nourished, shiny curls in the days following its application. Instructions: Spread on the wet hair in a uniform manner, comb through and leave for 3 to 10 minutes. Rinse carefully. 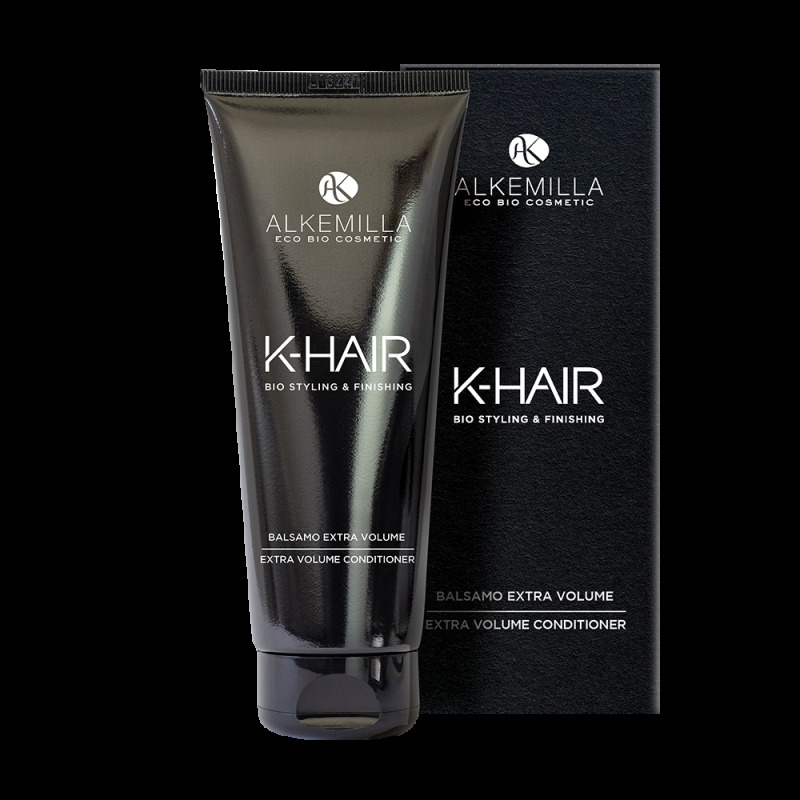 Boost the action by using the Volumizing Shampoo from the K-Hair range by Alkemilla. Ingredients: Aqua [Water] (Eau), Cetyl alcohol, Stearyl alcohol, Althaea officinalis root extract (*), Urtica dioica (Nettle) leaf extract (*), Malva sylvestris (Mallow) flower/leaf extract (*), Citrus limon (Lemon) peel extract (*), Citrus aurantium dulcis (Orange) flower extract (*), Cocos nucifera (Coconut) fruit extract (*), Triticum vulgare (Wheat) germ oil, Hydrolyzed soy protein, Tocopherol, Maris sal, Glycerin, Dipalmitoylethyl hydroxyethylmonium methosulfate, Benzyl alcohol, Behenamidopropyl dimethylamine, Parfum [Fragrance], Lactic acid, Benzoic acid, Dehydroacetic acid, Coumarin.